State Pier’s future — wind or no wind? (New London) – The Connecticut Port Authority announced today that GZA GeoEnvironmental, Inc., with offices in Trumbull, Glastonbury and Manchester, will provide design and engineering solutions for repairs and modifications of Pier 7 located at Fort Trumbull. Working closely with the Connecticut Department of Energy and Environmental Protection (DEEP) – the facility owner – the Connecticut Port Authority is investing $750,000 in the project and will oversee GZA GeoEnvironmental during the study. Will Lamont lead or stay out of the way on offshore wind? (New London) – The State Bond Commission is expected to approve a $5 million grant this week to pay for dredging at State Pier New London. The project will be administered by the Connecticut Port Authority which is responsible for the care and custody of the property. Approval is expected at the commission’s regular meeting September 20. This latest investment solidifies CPA’s commitment to improve State Pier and maximize its job creating potential as a major contributor to the local and state economy. Earlier this year, the Bond Commission approved $15 million to pay for general improvements to State Pier. CPA is currently in the evaluation phase of a Request for Proposal process that is expected to result in the selection of a long-term operating agreement for State Pier. This $5 million investment will partially support the State Pier Capital Dredging Program. The CPA will conduct multi-phased dredging and maintenance dredging of the facility footprint. CPA will maintain draft depths at the facility for vessel calls and environmental safety. The improvement of State Pier was identified as the top priority in the five-year Connecticut Maritime Strategy recently delivered by the CPA to the legislature and governor. State Pier has the potential to generate enough revenue to make CPA financially self-sustaining and able to operate independently of the state budget process. (Old Saybrook) – The Connecticut Port Authority is proud to serve as a co-sponsor of the Connecticut Maritime Heritage Festival taking place September 5th-9th in New London. The Connecticut Maritime Heritage Festival is a five day annual celebration promoting Connecticut’s maritime heritage and spirit of innovation in conjunction with Connecticut Maritime Heritage Week. This annual event will draw 60,000 visitors in 2018 to the historic Port of New London waterfront including individuals and families who experience unique tours aboard a fleet of boats including; U.S. Navy and U.S. Coast Guard ships, merchant marine vessels, and historic schooners. (Old Saybrook) – The Connecticut Port Authority (CPA) is entering the evaluation stage for State Pier in New London as the Request for Proposals (RFP) process continues to the next phase. An RFP issued in June of this year sought parties interested in developing, financing and managing State Pier under a long-term operating agreement. (The RFP response period closes at 4p.m. Friday August 31). State Pier is the CPA’s largest asset and is a key part of the authority’s long-term strategy to end reliance on state government funding and furthering its mission to create jobs by maximizing the output of Connecticut’s maritime economy. State Pier comprises almost thirty acres and includes two piers, a deepwater channel, on-dock rail and access to major highways. It is 130 miles north of New York City and 115 miles south of Boston. The strategic location presents a significant advantage to shippers looking for access to valuable markets in the northeastern United States. It is also the only major port between New York and Maine that is free of vertical obstructions and off-shore barriers. The evaluation phase of this process is expected to take several weeks to be followed by negotiations with preferred bidders on operational and financial details. Once negotiations are complete it is expected that a formal agreement will be signed with the winning bidder. Earlier this month the CPA released a five-year maritime strategy for the state of Connecticut. The development of State Pier, including the selection of an operating partner, is the top priority in that overall strategy. The CPA sees the goals of the state’s maritime strategy as paramount and the staff and board of directors of the CPA intend to apply their collective expertise to make the best decision possible for the state of Connecticut. (Hartford, CT) – The Connecticut Port Authority, in accordance with its enabling legislation, has developed and delivered a five-year state Maritime Strategy to Governor Dannel Malloy and the state legislature. The plan sets out eight key goals as the CPA leads the mission to expand Connecticut’s economy and create jobs through strategic investment in the state’s three deepwater ports and small harbors. The CPA’s five year Maritime Strategy identifies eight objectives that will provide a roadmap for the authority’s investment decisions and resource allocations. Manage the State Pier to Increase Utilization and Profitability. Redevelop State Pier in New London to create long-term stable jobs and maximize the potential links between the port, freight rail and highway transportation systems throughout the region. Build More Volume in Our Commercial Ports. Continue to build upon Connecticut’s historical strengths while meeting the changing needs of business, and building a diverse and sustainable set of services. Support Dredging of Connecticut’s Ports and Waterways. Work with partners, and the U.S. Army Corps of Engineers, to invest in and support dredging projects that will sustain and increase the use of ports, waterways and marinas. Support Small Harbor Improvement Projects Program (SHIPP). Support municipalities and recreational marine industries by continuing support for Connecticut’s small harbors through funding requests and operational support for future rounds of SHIPP grants. Create Intermodal Options. Explore and develop innovative solutions to enhance intermodal shipping options that create efficient and cost-effective opportunities for distributing containerized cargo along Connecticut’s coastline. Leverage Emerging Opportunities. Continue to monitor the landscape for port usage and be nimble in responding to potential opportunities. Enhance Ferry Systems and Cruise Coordination Activities. Evaluate ways in which Connecticut can expand its partnership with ferry, cruise service operators and booking agents, while investing in facilities and infrastructure. Ensure Future Support of the CPA. Work with Connecticut’s elected officials at the federal, state and local level to ensure the port authority is authorized and funded to sufficiently support for our objectives for long-term economic growth. The leadership of the Connecticut Port Authority will use the five-year strategic plan as a touch stone for all decisions related to port development going forward. The executive and legislative branches of government will also use this strategy as a guidepost when developing policy related to the state’s maritime economy and integrated transportation system. (Essex, CT) – The town of Essex is proceeding with an update of the management plan for one of the most scenic small harbors on the Connecticut River. The harbor management plan is being funded in partnership with the Connecticut Port Authority which provided a grant to the town of approximately $42,000 earlier this year. The remaining $30,000 cost of the study is being provided by Essex. This joint project is part of the CPA’s Small Harbor Improvement Projects Program, known as SHIPP. (Essex, CT) – The Connecticut Port Authority has moved forward to authorize the purchase of four parcels of land near the Port of New Haven following the allocation of funding for the transaction last week by the State Bond Commission. A grant of $751,000 was authorized to allow the CPA to purchase the land and preserve it for maritime related uses. The land has been used in recent years by the Department of Transportation to stage materials for work on the Pearl Harbor Memorial Bridge. The land purchase allows CPA to expand its partnership with the Port of New Haven. Final approval for this purchase came during the CPA’s monthly board meeting held this month in Essex. (Old Saybrook) – The Connecticut Port Authority (CPA) has hired Andrew Lavigne as Manager of Business Development and Special Projects. Lavigne will be in charge of a large portfolio of responsibilities including stakeholder engagement, marketing, research, and communications. He is joining CPA in this capacity as the authority enters its third year as a stand-alone quasi-public agency responsible for creating jobs through the development of the Connecticut maritime economy. While serving as a consultant to the authority, Lavigne coordinated the development of Connecticut’s five-year maritime strategy – which was recently published by the CPA and delivered to the governor and legislature. “I am very happy to be joining the port authority at this critical time in the agency’s history. Connecticut has a strong maritime heritage and state government leaders have made a clear effort to tap into the full job creating potential of our maritime assets. I look forward to this new challenge and working with the full CPA team,” Lavigne said. Lavigne holds a Master of Science in National Security and Public Safety from the University of New Haven and is a graduate of Eastern Connecticut State University. He has previously worked for a Washington, D.C. based think-tank where his focus was on transportation, infrastructure, and national security issues. 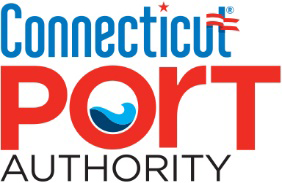 (Hartford, CT) – The State Bond Commission is expected to approve funding Wednesday (July 25) for two Connecticut Port Authority projects in New Haven and New London. A grant of $751,000 will be authorized to allow the CPA to purchase four parcels of land at the Port of New Haven to be preserved for maritime related uses. The land has been used in recent years by the Department of Transportation to stage materials for work on the Pearl Harbor Memorial Bridge. The land purchase allows CPA to expand its partnership with the Port of New Haven. A second grant of $750,000 will be authorized for preliminary design work on Pier 7 at Fort Trumbull State Park in New London. The pier is currently used by the U.S. Coast Guard, the U.S. Navy and visiting ships. Working in partnership with the state Office of Military Affairs, upgrades to Pier 7 will allow for continued use by large naval vessels and other ships. (Fairfield, CT) – Two projects funded, in part, by the state’s Small Harbor Improvement Projects Program(SHIPP) are about to get underway in Fairfield, Connecticut. The $13,000 Harbor Management Plan will be funded partially by the CPA ($6,500) with an equal match for the Town of Fairfield. Ramp reconstruction and dredging is being funded primarily through a $266,000 grant from the CPA and an $11,000 town match. Both projects are part of a statewide program to invest in the improvement of small harbors and inland waterways, which is being led by the Connecticut Port Authority. The Fairfield projects are two of 18 similar SHIPP projects funded by CPA across the state this year. (Old Saybrook) – Today Governor Dannel Malloy announced a major new partnership with Electric Boat that will grow the company’s workforce to 13,000 and lead to capital investments of $800 million over the next 17 years. (Old Saybrook) – The Connecticut Port Authority and seven other Connecticut parties have filed a motion stating their intent to join together in a friend of the court brief (amicus) to support a decision by the United States Environmental Protection Agency to designate a 1.3 square nautical mile area south of New London, Connecticut, as the approved site for the disposal of dredged materials in the eastern part of Long Island Sound. (Old Saybrook) – The Connecticut Port Authority, in conjunction with the Connecticut Audubon Society, is beginning a program to monitor the population of Piping Plovers at Hammonasset Beach State Park in Madison. The program is part of the follow up work required as a condition of federal approval for a dredging project that took material from the Housatonic River to re-build part of the beach at Hammonasset. The project was funded and completed by the Connecticut Port Authority at the end of 2017. Monitoring of the restored section of beach, supervised by Connecticut Audubon, will begin on March 15 and continue at least until mid-July. If plovers begin to populate the rejuvenated beach area appropriate fencing and signage will be put in place to prevent beach-goers from disturbing the bird’s nesting areas. Up to $100,000, covering the next five years, was set aside in the project budget to pay for this environmental protection initiative. Listed as threatened under the federal and state Endangered Species Acts, Piping Plovers nest only on beaches, where they are vulnerable to high tides, predators, pets, and human disturbances. Sixty-six pairs nested in Connecticut in 2017, the most since records started being kept in the mid-1990s. Those 66 nests produced 100 fledglings. The bird’s recent success is largely attributable to the work of the Audubon Alliance for Coastal Waterbirds, which monitors and protects plovers statewide using the methods Connecticut Audubon will use at Hammonasset. The Audubon Alliance consists of the Connecticut Audubon Society, The Roger Tory Peterson Institute, and Audubon Connecticut, working under the supervision of the Connecticut Department of Energy and Environmental Protection. “We commend the Port Authority for taking the welfare of Piping Plovers seriously,” said Patrick Comins, Connecticut Audubon’s executive director. “Their decision is the right one. We’ve demonstrated that monitoring beaches and protecting Piping Plovers results in an increase in the number of birds. We hope that the beach project at Hammonasset creates room for the birds to expand their range. If so, we’ll do our best to help them succeed. The Connecticut Port Authority has given approval to the release of a Request for Qualifications for a terminal operating concession at State Pier in New London. Approval to proceed was granted at the authority’s regular monthly meeting on February 7. Responses to the RFQ are due March 14, 2018. The New London State Pier covers nearly 30 acres and has two piers with direct rail and deep-water access. Approximately 100 miles south of Boston and 130 miles northeast of New York City, it is located next to major highways serving the Northeast. State Pier is located near the major shipyards maintained by Electric Boat and the U.S. Naval Submarine Base in Groton. Today, Scott Bates, Chairman of the Connecticut Port Authority, released the following statement upon the U.S. Army Corps of Engineers report that analysis indicates dredge materials from the port are suitable for open water disposal, which opens up multiple, beneficial alternative use options. “The New Haven project is a major investment in economic growth and job creation across Connecticut. The Connecticut Port Authority is proud to be a part of it, and we look forward to moving ahead with our partners at the U.S. Army Corps and the New Haven Port Authority. The U.S. Army Corps’ latest update shows that dredged materials from the port will be suitable for open water disposal, which will shorten the necessary haul distances and increase the cost effectiveness of the overall project. A combination of efficient work and cooperative weather has led to the early completion of a major dredging project in the Housatonic River funded by the Connecticut Port Authority. Work to deepen the river’s navigation channel was finished December 6th, almost two months before the scheduled completion. Nearly 270,000 cubic yards of clean sand from the river bottom has been used to rebuild eroding beach at Hammonasset State Park. The Housatonic dredging project takes the river to its authorized depth and width from the mouth of the river to a point five miles north. More than 1,000 vessels are docked along the river and more than 1 million people use Hammonasset beach each year so this particular project benefits Connecticut in two ways. The project cost $9.3 million. 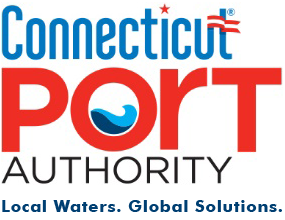 Today the Bond Commission approved the Connecticut Port Authority’s request to fund 18 projects under the Small Harbor Improvement Projects Program (SHIPP). These projects cover a range of improvements including: marina repair, dredging, boat ramp facilities improvement, harbor management plans and feasibility studies. Details of each project are in the attached document. The mission of the Connecticut Port Authority (CPA) is to coordinate the development of Connecticut’s ports and harbors, while working with other state, local and private entities to maximize the economic potential of the state’s maritime commerce and industries. In pursuit of this mission, the CPA has created the Small Harbor Improvement Projects Program or SHIPP as a central part of its strategy to support economic development throughout Connecticut’s waterfront communities. The CPA issued a Request for Applications in order to generate a pool of prospective Municipal Harbor Improvement Projects for consideration of funding under this competitive grant program. The solicitation was issued in Match, applications were returned April 17, 2017. The CPA formed a projects committee to review the applications based on criteria developed. The result of that process was the attached list of 18 approved projects. The Connecticut Port Authority is a quasi-public agency responsible for marketing and coordinating the development of the state’s maritime economy.